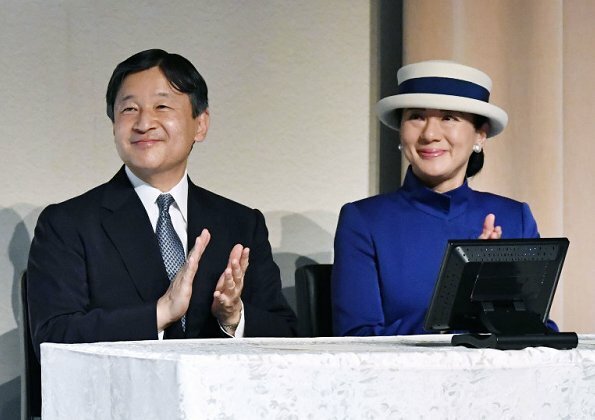 Crown Prince Naruhito and Crown Princess Masako attended the "International Cosmos Prize 2017" symposium of Expo ’90 Foundation held at the United Nations University in Shibuya-ku. 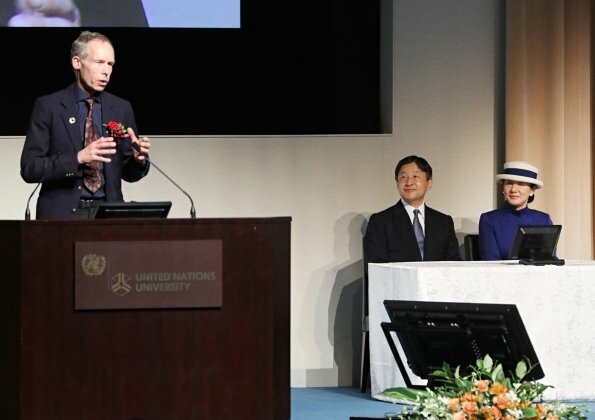 The Expo ’90 Foundation selected Dr. Jane Goodall, DBE, Founder, Jane Goodall Institute, UN Messenger of Peace, as the winner of the 2017 International Cosmos Prize, for her continuous research and lifelong contributions. 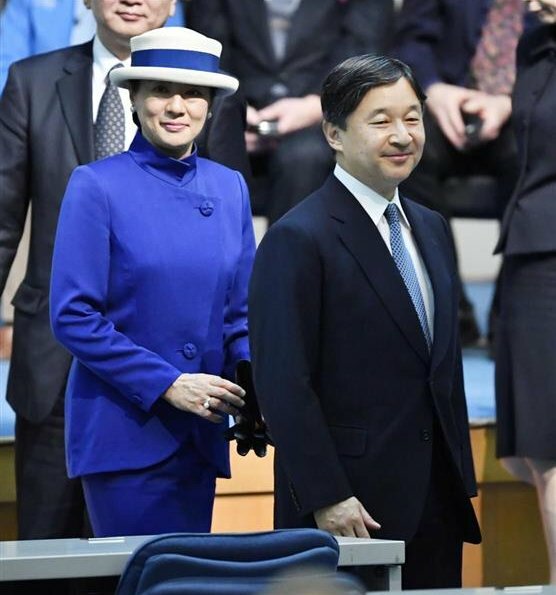 From Rita's post, I think this may be the most beautiful photo I ever saw of CP Masako. And happy to be out no doubt. 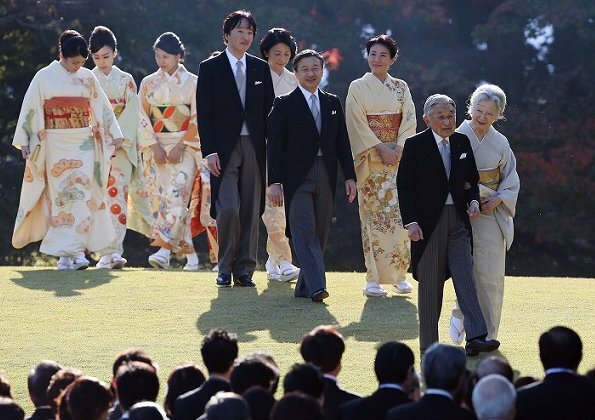 We don't see her in kimono too often either, so it's a bit of a double treat. Also all of the ladies chose such wonderful colors for this event, appropriate palate for autumn but still bright and upbeat. 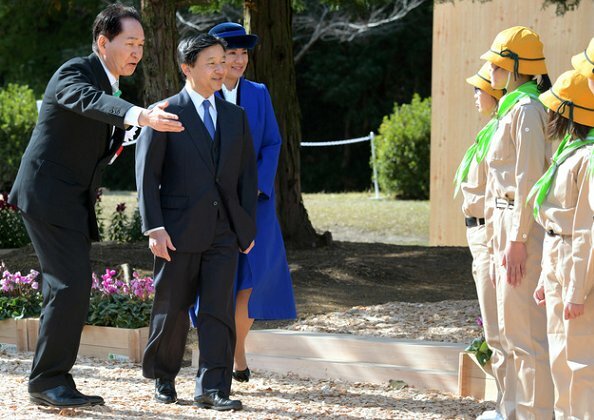 Crown Prince Naruhito of Japan and his wife Crown Princess Masako attended the 41st National Tree Growing Festival held in Mannō in Kagawa Region. 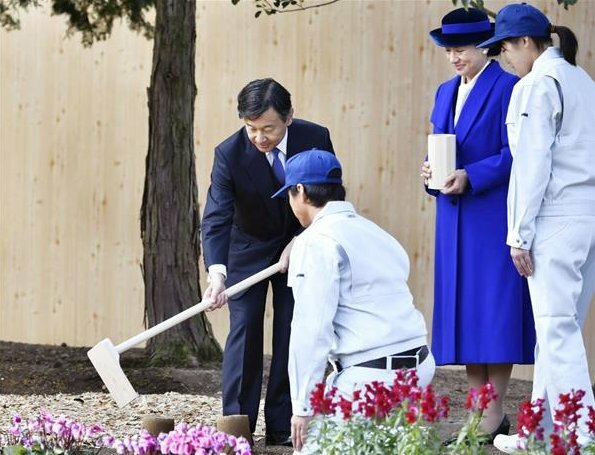 The couple gave fertilizer to trees planted by Emperor Akihito and Empress Michiko in 1988. 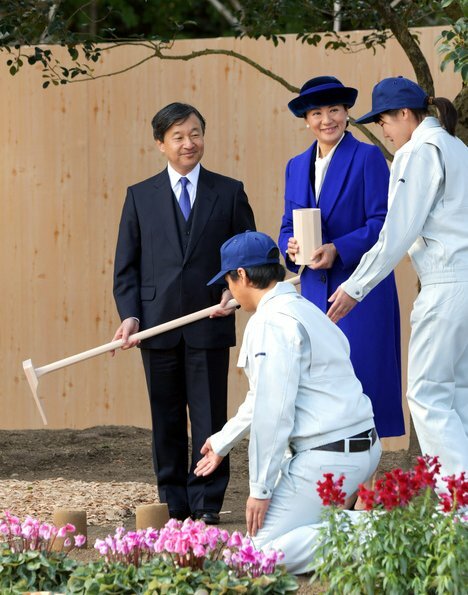 Crown Prince Naruhito trimmed a tree. 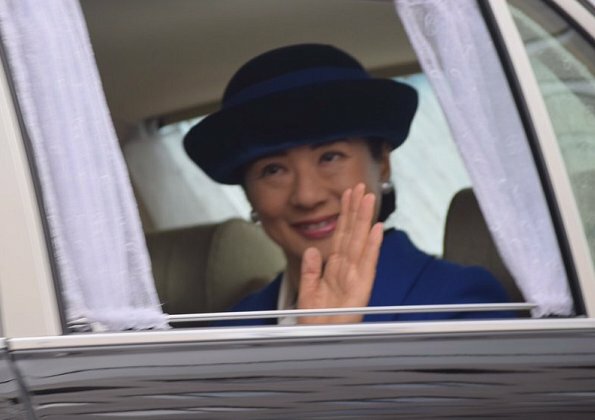 Crown Princess Masako attended this festival for the first time since 2003. 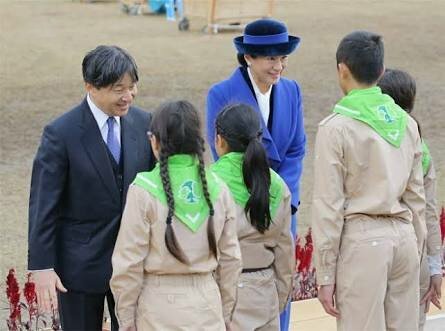 Then, the Prince and the Princess visited the prefectural agricultural testing site at Ayagawa Town. 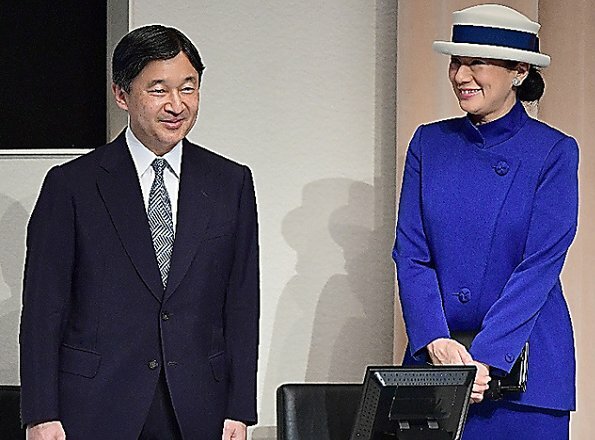 Naruhito seems like a very patient, kind and affectionate husband . 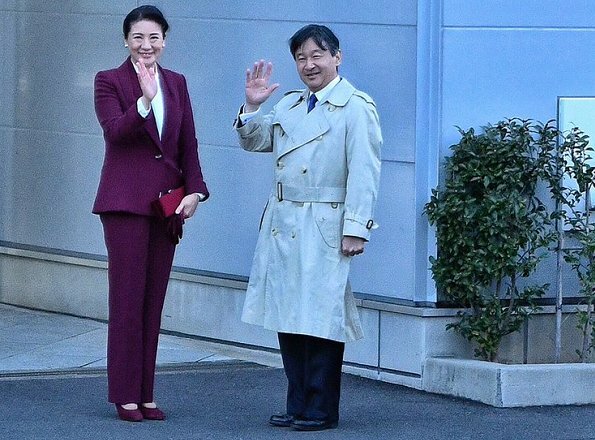 He surely lived hard days with his wife's long illness, so now seeing Masako smiling and in top form makes me very happy for him and for his daughter too . Thanks for all the pix. 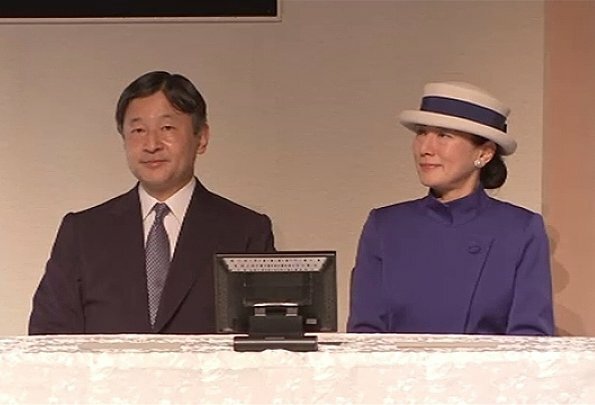 Just wanted to say that Princess Masako looks radiant and happy these days. She seems to have come through the worse. I husband is wonderful to have supported her all these years. What a lovely couple. Shame that the Imperial Agency have so much control. 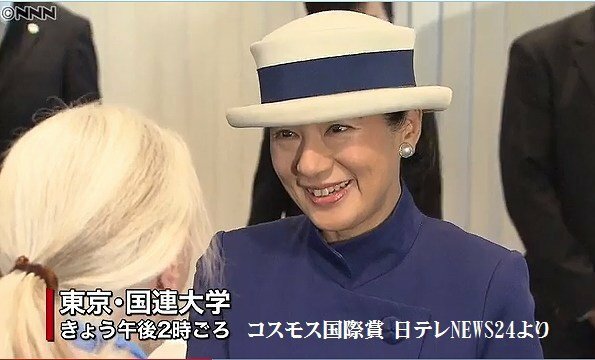 Masako is a real asset. Her pics show how warm she is and she's beautiful. 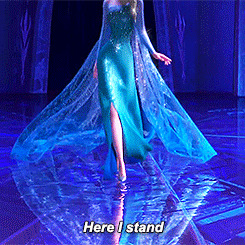 I prefer her to the other princess (can't remember her name). You know the one who looks a bit scary and alledgedly had a son by IVF. Kiko. But if she hadn’t had that boy, the JIF would have imploded. 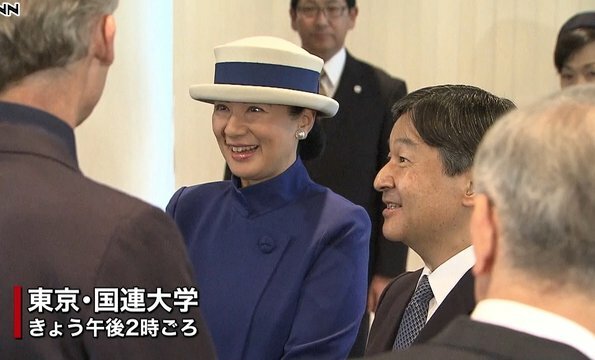 And it’s not like she took a child away from Masako. I feel very sorry for any lady in that family. 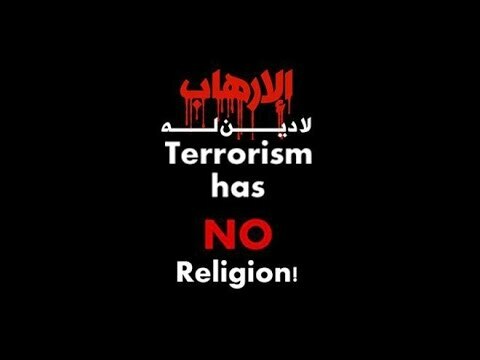 It sounds like their lives are pure hell. Thanks for the info. IDK Kiko kind of scares me not that I hate her or anything. Women in that family are in an impossible position. I wonder why they announce it so early. Or would he have abdicated earlier but the Household Agency wouldn't allow it? TBH it does not sound like a lot of fun .... so it might not be the worst thing.